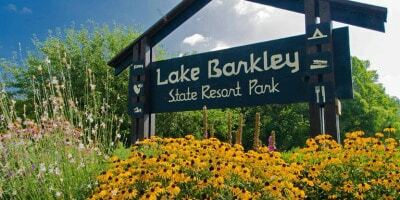 in Cadiz, right by Lake Barkley. 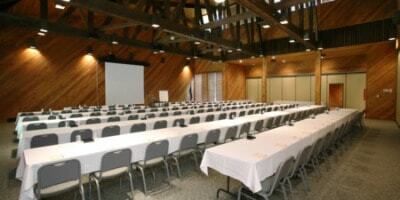 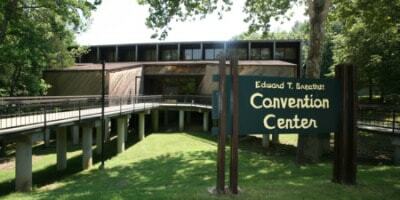 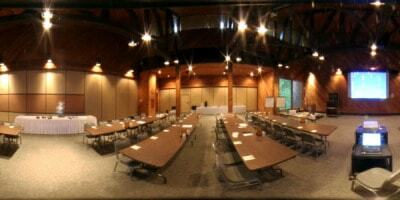 Looking for the perfect place to hold your next conference, corporate retreat, annual meeting, or family reunion? 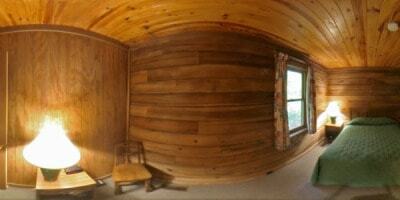 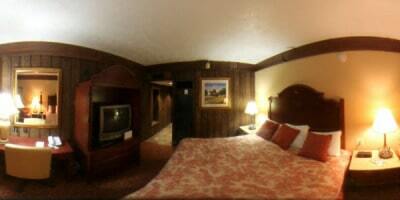 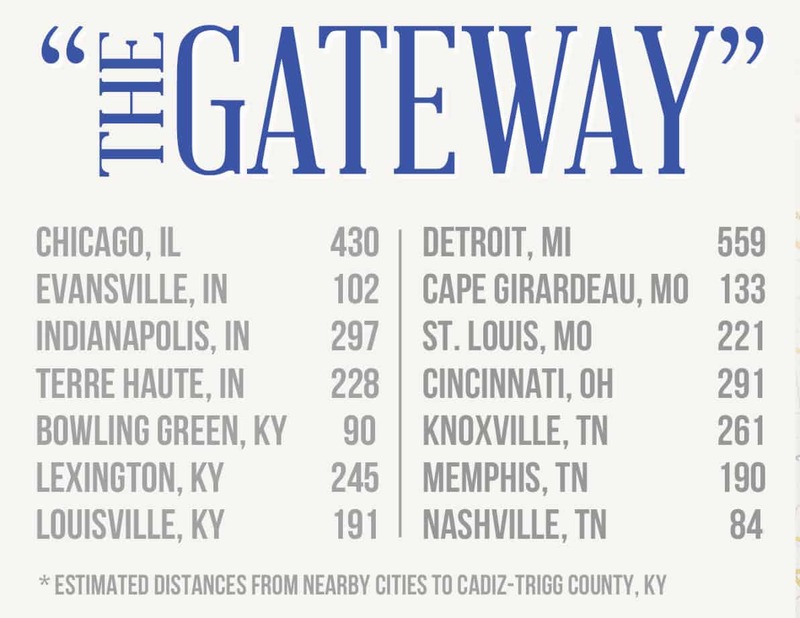 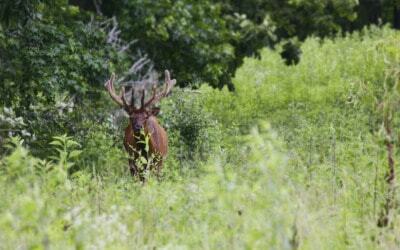 Look no further than Cadiz, Kentucky, and Lake Barkley State Resort Park. 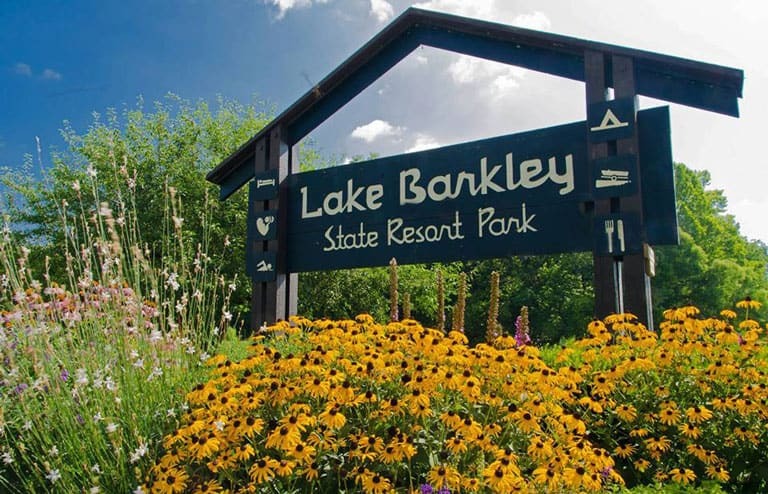 Lake Barkley State Resort Park sits on the shores of one of the largest manmade lakes in the nation, and the conference facilities are top notch. 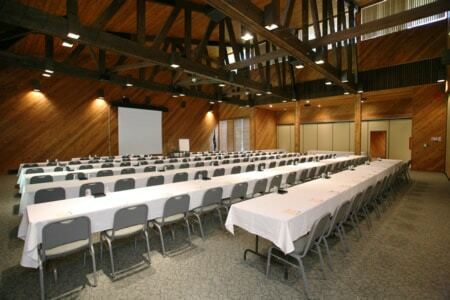 Crowned by a convention center with 6,300 square feet of floor space and accented by the water view Sunrise and Elizabeth Hocks Rooms, each 1,700 square feet, Lake Barkley is the ideal location for your conference. 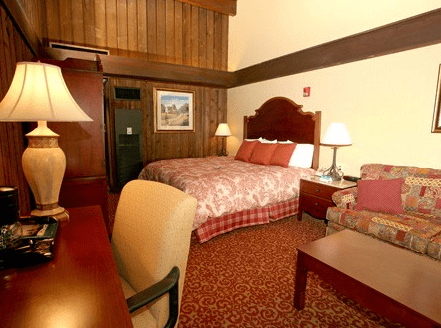 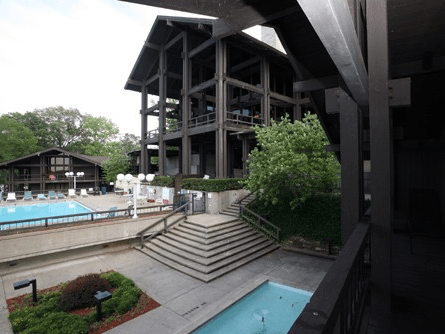 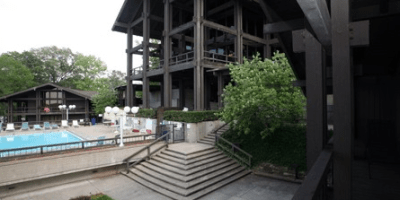 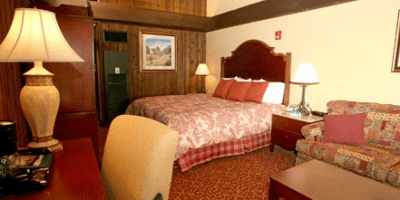 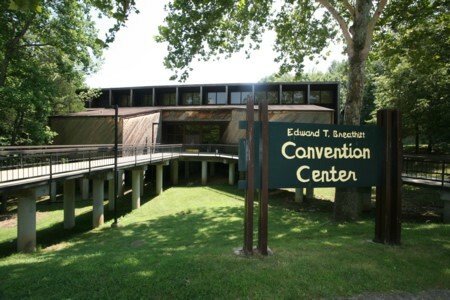 Convention-goers can stay on site in one of 130 rooms, five suites, or nine two-bedroom cabins, putting them only a short distance from Windows on the Water, the park’s restaurant (which seats 280 people), and the convention floor. 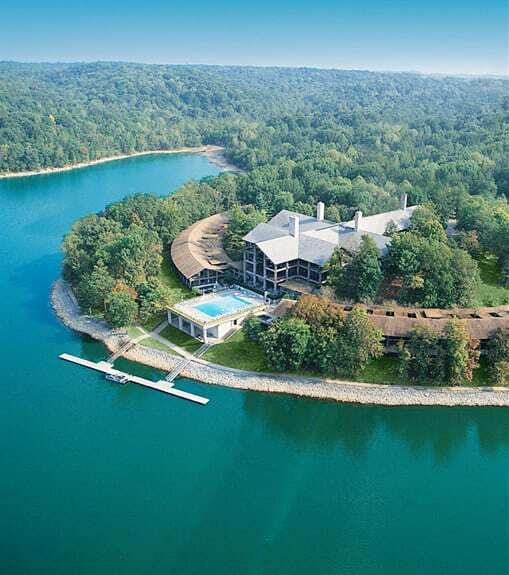 Rooms look out over Lake Barkley, making for stunning sunsets, and afford easy access to the water where the fishing is fine. 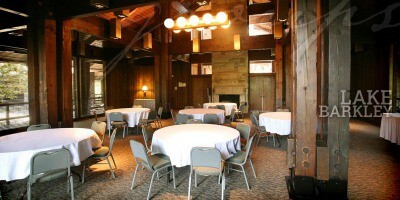 For family reunions or especially the families of conference attendees, Lake Barkley and the Cadiz area offers a number of activities to fill the day. 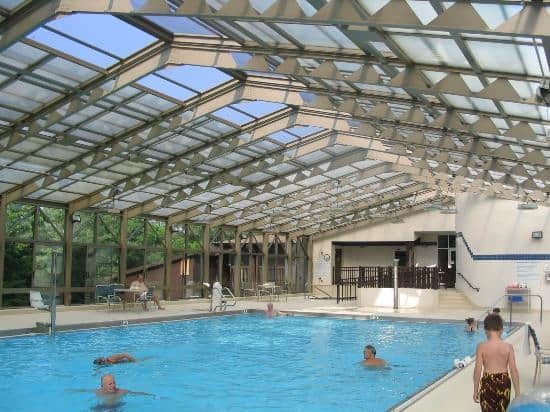 There are nine miles of easy hiking trails in the park, as well as equestrian activities, an outdoor and heated indoor pool (located in the impressive fitness center), tennis courts, a playground, and, during the season, organized nature discovery activities. 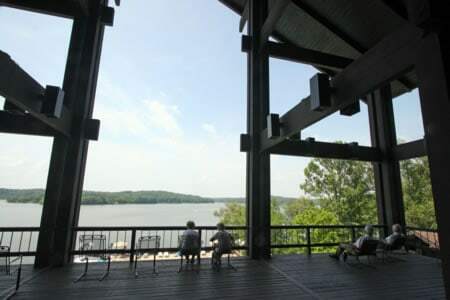 Of course, Lake Barkley offers up a host of activities. 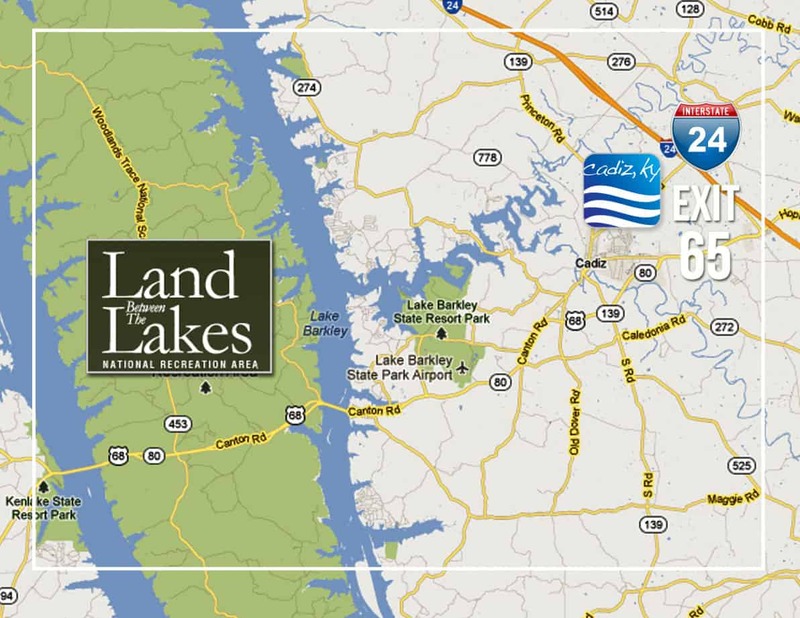 From the nearby marina, you can charter a fishing guide or rent a boat to explore the lake and fish where you decide. 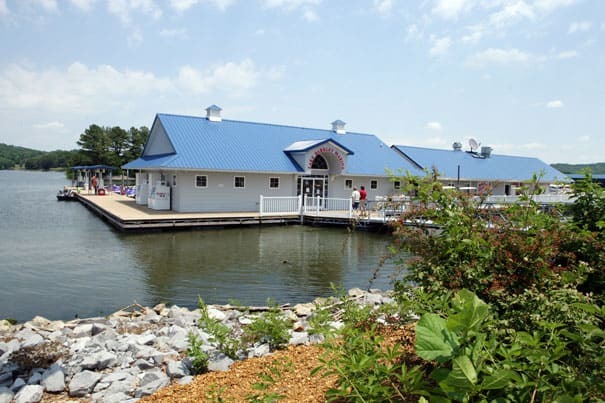 Or you can head over to Prizer Point Marina to rent a jet ski, kayak, or standup paddleboard, or let the young and young at heart enjoy a round of mini-golf, swim, and play the day away. 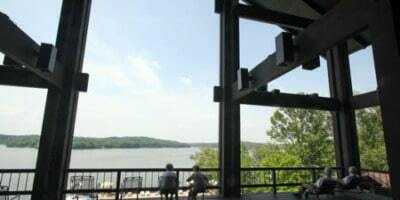 If nature is more your thing, visit Land Between the Lakes National Recreation Area, a 170,000 acre natural preserve that spans two states and has more than 300 miles of shoreline on Lake Barkley and Kentucky Lake. 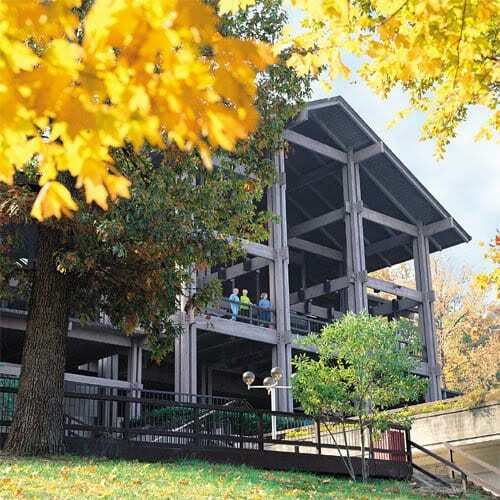 At Land Between the Lakes, you will find a planetarium and observatory (it is one of the darkest places in the state at night), a bison and elk prairie, hundreds of miles of hiking and biking trails, a recreated frontier homestead, and the Nature Station. 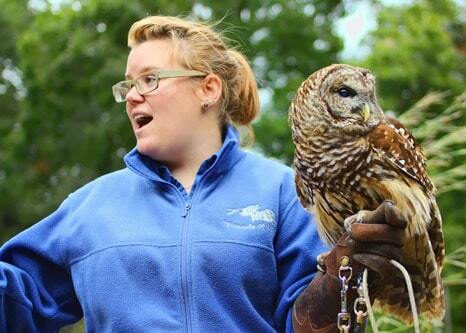 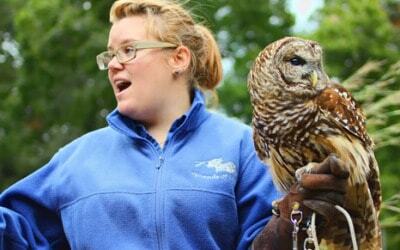 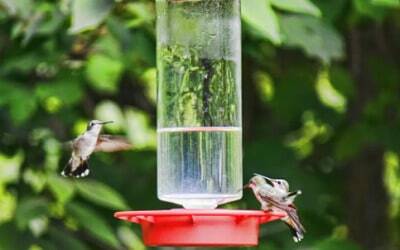 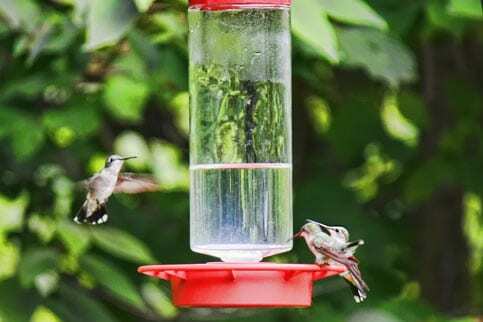 The Nature Station gets you up close to the wildlife in the region and lets you see everything from red wolves to box turtles to owls and other raptors. 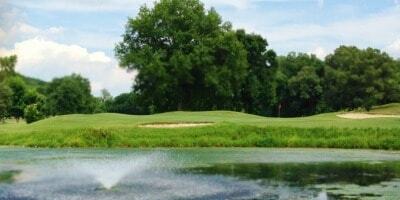 Near Lake Barkley Resort and the convention center, the Boots Randolph Golf Course offers relaxing holes on wide, tree-lined fairways. 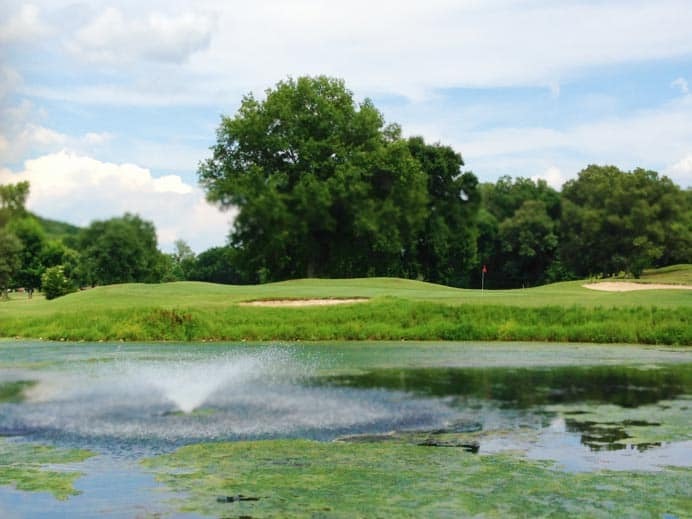 Water factors in to less than half the holes, and with forgiving greens, you are in for an easy, enjoyable day on the course. If you would like to try something a little different, just up the road from the golf course is a trap shooting range where you can test your marksmanship against the likes of flying clay targets. 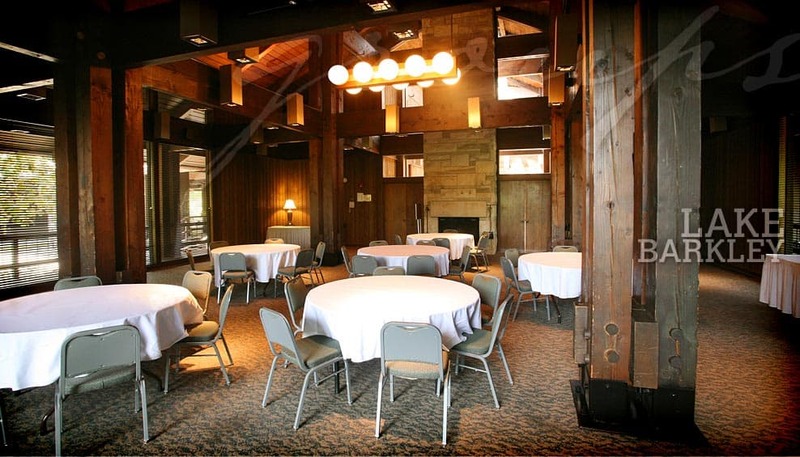 Whether you are an association of realtors, a retired military retreat, a sprawling family reunion, or a board needing a break from the boardroom, look to Lake Barkley State Resort Park to fill your meeting needs.